Understated elegance, sophisticated, luxurious but not pretentious, perfectly planned itineraries, exquisite dining, all inclusive and with crew who treat you like their favourite family; this is Crystal Symphony and one of the finest luxury ships afloat. 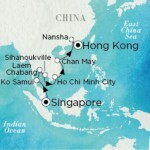 We invite you to join us as we set sail for 14 days and experience the vibrancy of Singapore and Hong Kong, with their world-class shopping and cuisine, the pagodas of Ho Chi Minh City and the temples of Bangkok…this is Asia, and this is the best way to enjoy! 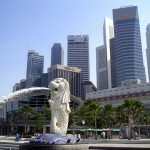 Day 1 26 April, 2019 Singapore Make your own way to Singapore and board Crystal Symphony. Your Australian escorts will meet you on board. Ship remains in port overnight. 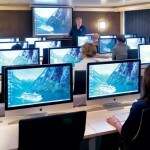 Aboard the most award-winning ships at sea, your story can be written exactly as you wish: pamper yourself at the Feng Shui-inspired Crystal Spa, work-out at our state-of-the-art fitness center or Walk-on-Water along our 360o Promenade Deck; learn how to translate your story into a movie with USC’s School of Cinematic Arts Digital Filmmaking class at our Creative Learning Institute ®; or learn about art, history and worldly destinations with our engaging celebrity entertainers and speakers with our Crystal Visions® Enrichment Program; sneak away to watch recently-released movies in the Hollywood Theatre, shop our luxury boutiques, or simply lounge poolside while our attentive crew caters to your every whim. 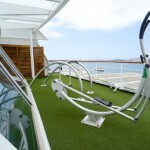 From mat Pilates and yoga to PGA golf instruction and paddle tennis on full-size courts, today is all about you. 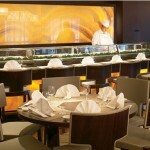 As evening arrives, dine on the renowned culinary creations of Nobu Matsuhisa, and Crystal’s own acclaimed chefs with new Modern Cuisine and Global Inspired menus, enjoy special wine-makers dinners, breakout new production shows, intimate lounges, a pulsing dance club or try your luck at the casino. The choices as always aboard the World’s Best are yours. This emerald isle off Thailand’s southeast coast, ringed by lovely beaches and gorgeous bays, enjoys both the fun-loving nature of the Thai people, and the peaceful serenity of Buddhism. Visit the beautiful waterfalls at Hin Lut and Na Muang, marvel at the enormous Buddha statue on Fan Isle, or just listen to the breeze whisper in the leaves of a coconut plantation. 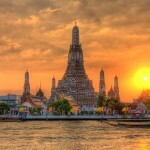 The port city of Laem Chabang is your gateway to Bangkok, Thailand’s glittering capital. This “City of Angels” is a lustrous city of immense Oriental charm, festooned with ornate temples, shrines and a lacework of canals. Towering golden spires reach for the heavens while sunlight glistens on the majestic Royal Palace and boats laden with produce drift up and down the canals. Shining through this dream-like setting is the hospitality and warmth of the gentle Thais. Founded in 1964 to be Cambodia’s primary deepwater port, Sihanoukville has since become a popular tourist destination. It is no wonder, as this spot on the Gulf of Thailand features tropical breezes and beautiful beaches, while nearby islands promise fantastic diving, snorkeling and game fishing. 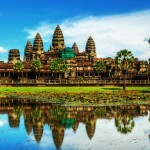 Just inland is the wonder of Angkor Wat, offering an intriguing glimpse into the spectacular achievements of Southeast Asia’s greatest civilization. The ruins of this 800-year-old city were rediscovered in the late 19th century and bears testament to the influence this once-powerful city has on Cambodia’s modern culture. Ho Chi Minh City, known universally and affectionately by residents as Saigon, offer a stimulating insight into Vietnam’s eventful past and a glimpse into its hopeful future. Over two decades have passed since American forces left these shores. Since then, Ho Chi Minh City has regained a prosperous air of thriving activity. Rice boats float down the waterways, streets bustle with commerce, scooters speed by and a sense of history fills the air. There are quiet temples to discover, French colonial public buildings to admire and numerous street markets to stroll. Visitors to Ho Chi Minh City can be assured of a friendly and hospitable welcome. 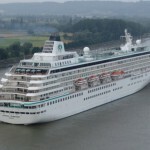 Note: Arrival and departure times for this port will depend on tidal restrictions. 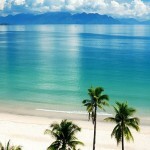 Vietnam stretches over 1600km along the eastern coast of the Indochinese Peninsula. Vietnam’s two main areas are the Red River Delta in the North and the Mekong Delta in the South. Long associated with the horrors of war, Vietnam has finally won its last battle – to capture the imagination of the traveling public. In Chan May, Crystal Cruises will dock closer to Hue, allowing you to see this important imperial city at a more relaxed pace. 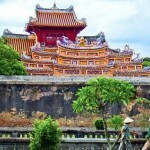 Indeed, Hue (pronounced “hway”) merits a full-day excursion. 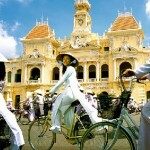 Having served as the Vietnamese capital from 1802 to 1945, the city was home to thirteen emperors of the Nguyen Dynasty. Its three walled enclosures, built concentrically around one another, are collectively called the Citadel-an appropriate name, given that the emperor and his family lived within the Forbidden Purple City, located at the Citadel’s center. The term “Forbidden” is appropriate too, as the Royal Palace resembles Beijing’s Forbidden City. Fascinating as it is, Hue is not the only sight to be explored during your call in Chan May. You will also have a chance to visit the historic commercial seaport of Hoi An, see the city of Da Nang, or head to China Beach, the stretch of sand that offered some R & R to U.S. soldiers during the Vietnam War. Guangzhou (Canton), a prosperous metropolis full of vigor, is the capital city of Guangdong Province located along the south coastline of China. Being an excellent port on the Pearl River navigable to the South China Sea, and with fast accessibility to Hong Kong and Macau, the city serves as the political, economic, scientific, educational and cultural center in Guangdong area. 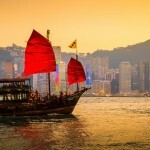 Although Hong Kong has returned to its original Chinese roots, it still remains a cosmopolitan city with influences, languages and accents from around the world. Here East meets West and the result is electric. Soaring skyscrapers rise from the hills and harbor, blending geography and nature with commercial concrete, steel and pulsating neon in a way that brings traditional Chinese culture and Western-style commerce into perfect harmony. The bustling city streets are lined with teeming markets and sophisticated boutiques tucked tightly into any available crevice. 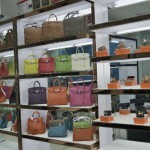 Some of the world’s best shopping is found in Central, located on Hong Kong Island and only a short ferry ride away. Discover the beauty and magic of Hong Kong today! 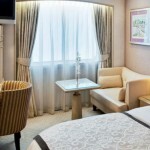 Day 14 09 May, 2019 Hong Kong Sadly our cruise has come to an end and disembarkation begins this morning. We would be pleased to assist with your onward travel arrangements. Alternatively; we are sure you won’t want to leave this morning so why not continue on cruising with us as Crystal Symphony spends the next two nights here in Hong Kong before sailing on to Tokyo. 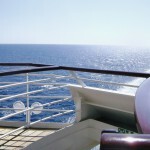 Contact us for your special price if you combine the two cruises.